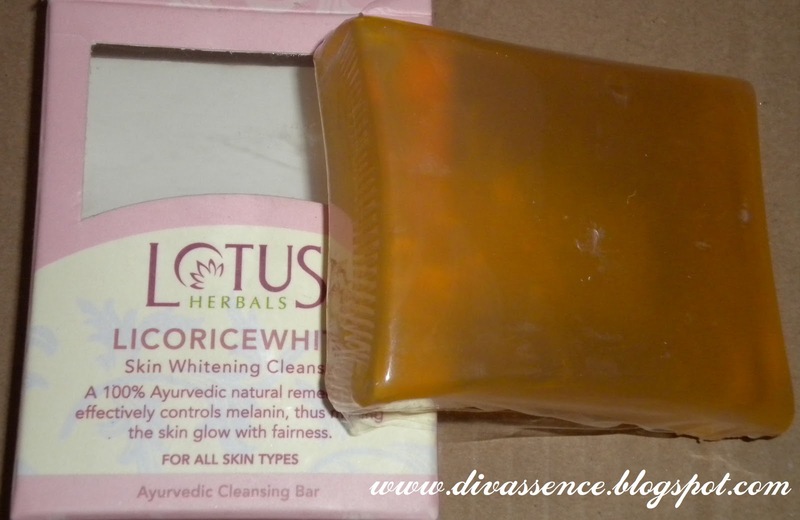 Lotus Herbals Licorice Skin Whitening Cleansing Bar: Review - Divassence! 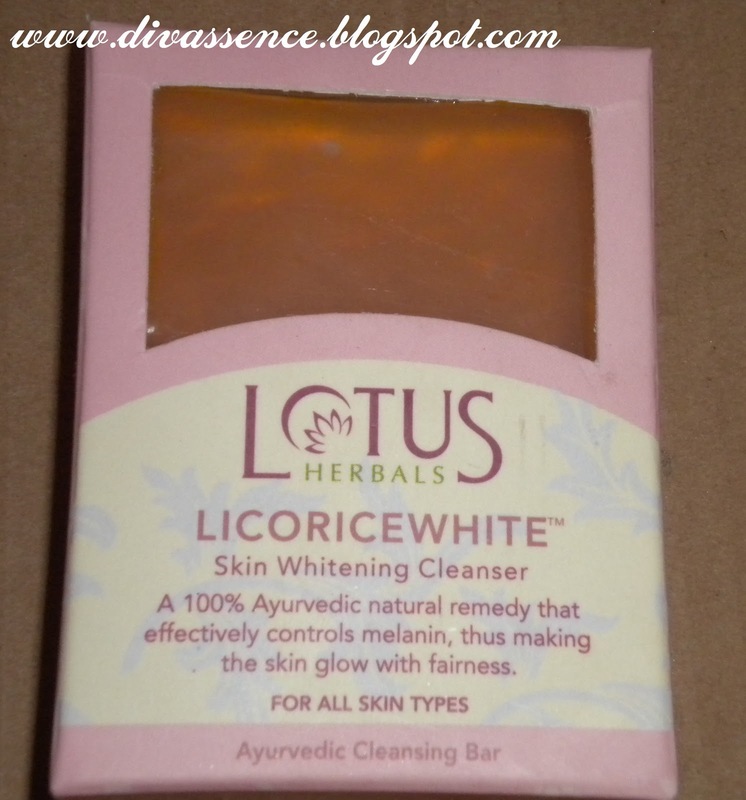 Im going to review Lotus Herbals Licorice Skin Whitening soap. Everyone might be wondering, what could be so special about “this soap”? Well read to find out! I spotted this soap a while ago when I was strolling the local super market near my place. I dint have a bit of an idea about what it was then and ignored it. 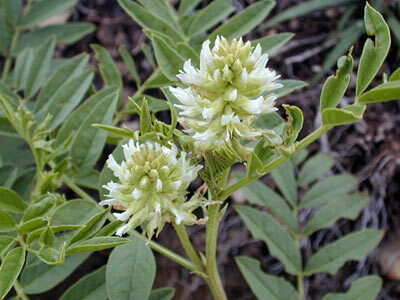 Then while browsing some website, I came to know that it had licorice and helps in reducing tan. It went into my shopping bag during the next visit. Experience a rejuvenating daily shower! Ayurvedic soaps by Lotus Herbals is a revolutionary line of premium soaps, hand-made using 100% natural ingredients. The ‘see-through’ soaps are carefully crafted from premium natural oils and active natural extracts. 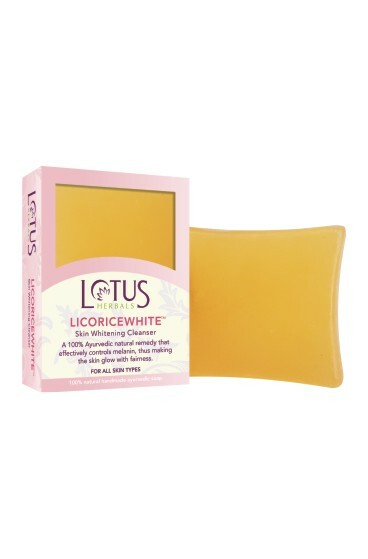 A natural soap for controlling melanin and increasing skin glow, Lotus Licoricewhite Skin Whitening Cleanser contains premium ingredients such as licorice ( mulathi ) and manjistha in their purest form, facilitating skin whitening as well as removing blemishes. The packaging is pretty neat and seems to be good quality and the top half is transparent through which the soap is visible. I somehow feel the packaging to be cute. I quite like the shape of the soap which has curved rectangular sides and a dent at the bottom. It has a fruity smell and is pretty mild, but personally I feel that the smell is comparable to a fruit flavored bubblegum! It lathers well and is pretty moisturizing, unlike some soaps which strips the skin’s moisture. But not to the extent of skipping a moisturizer after shower. I got attracted to it as it claimed to remove tan. I thought it was just a false claim and I expected pretty much nothing. In fact I got it for the color, shape and packaging and also because I was bored of using ordinary soaps and wanted to try some ayurveda soap. I was on the verge of finishing it when one day my mom spotted that the color of my hands were even throughout. Previously my hands were badly tanned up to the sleeve level! I was excited that the soap worked and I got back my original color! It has been my HG soap from then! Attractive packaging when compared to the other soaps in the market. It does what it claims, removes tan/whitens. Its an ayurvedic soap, so no fear of the harsh chemicals. 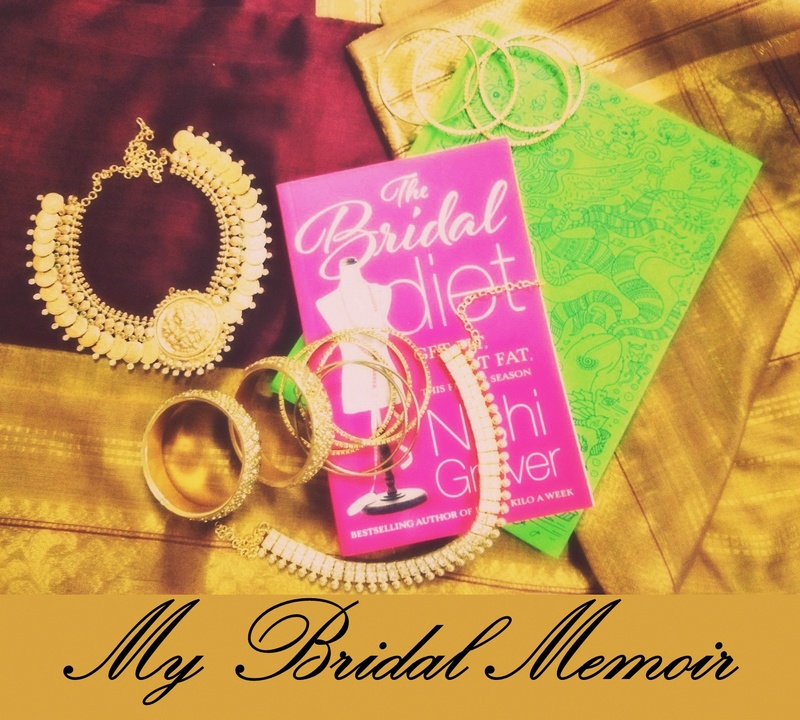 You may also like reading: Summer, Divassence and Kyra! The smell may be a little strong for a few. It melts off real fast, one soap does not even last a month. due to oily skin na? but you can still use it on your hands no? how effective was it for you? Namita: It really works namita! 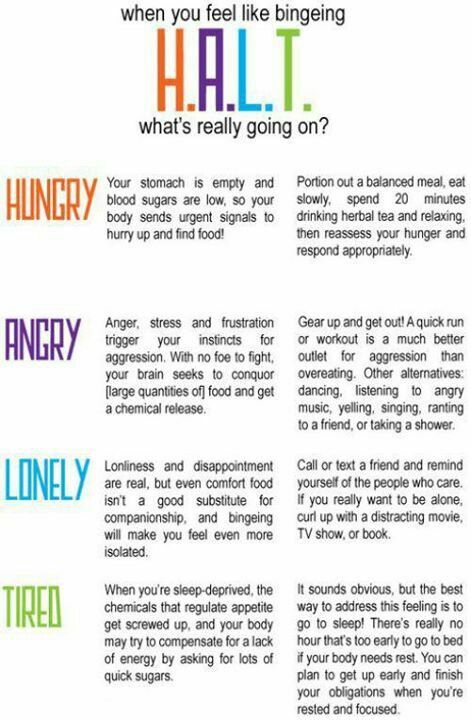 Do try it and let me know! tulips: I don recommend this for face though. But on my hands and foot, this was really effective! 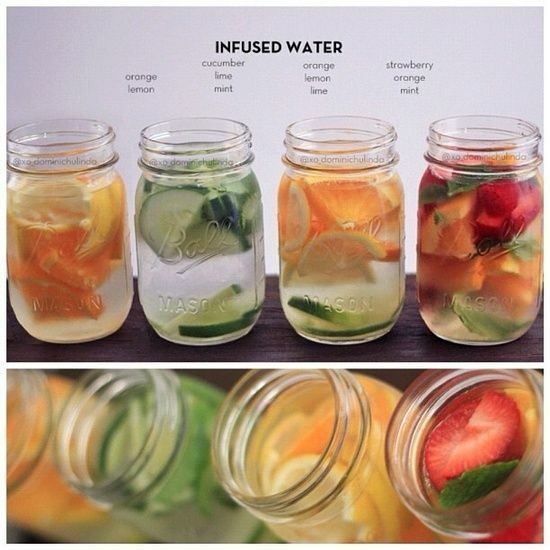 i have tried this………… and good to me..
s t worth a try?